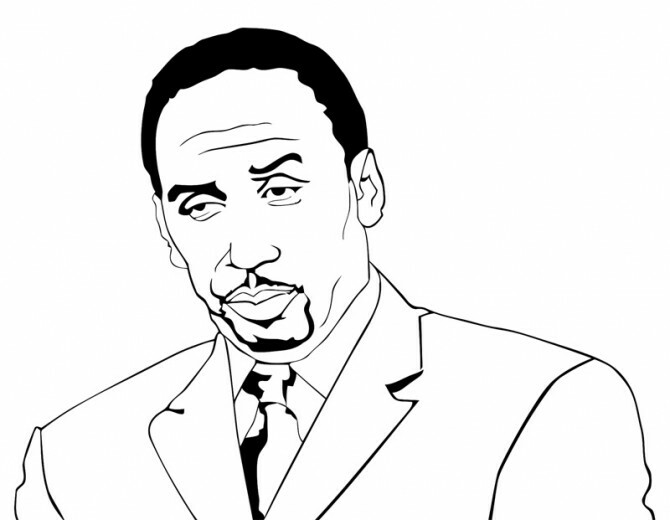 Did Stephen A. Smith drop the n-word on First Take this morning? There was a discussion about Kobe Bryant on the train-wreck that is First Take when it appeared that Stephen A. Smith actually dropped the n-word. Did it happen? Let's go to the videotape. There is no question that Smith used that word, it is clear as day. And here is what is incredulous, it appears that ESPN will not discipline him! How in the world can anybody explain that? It is clear that he did say the word because not only did he give a non-apology on the air but ESPN edited out whatever he said on the replay later in the day. If he did not say anything, you would not have had him clear the air. But by having him clear the air, you admit that he said something. And that is a word that he has said on the air before and gotten away with it. I like Smith but there is no reason whatsoever that he should not be disciplined like ESPN has done so to others before, particularly during the Jeremy Lin affair.